As another translation, I've picked out a section of a book called "日本の歴史・合戦のおもしろ話" (Japanese History - Interesting Tales of Battle). This translation deals with Samurai and death in battle. Everyone likes to think that Samurai were in love with the idea of death in battle and that they had no fear of death. Japanese historian Owada Tetsuo gives a much more reasonable explanation, which I hope everyone finds enlightening. This is the first of two sections I'll be translating. Due to the vague nature of Japanese, I've added some slight exposition here and there to clarify, but otherwise it is a direct translation. In his house codes, the famous general Takeda Nobushige wrote, "In regards to battle, one must never fear death". These words illustrate that the Sengoku warriors stood shoulder to shoulder with death on the battlefield. However, if one reads between the lines, it also illustrates that these warriors, as well as their vassals, actually feared death, otherwise it wouldn't be necessary to put it directly into the house codes. In fact, if one looks at the various family records of the 100 years of the Sengoku period, it will become obvious that death on the battlefield was the rule rather than exception. 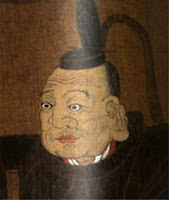 Socho, a renga poet who served Imagawa Ujichika in Suruga province wrote in the historical document Socho Shuki "Death in battle. That is to be Samurai." Death in battle was a matter of course, and to thus fully prepare for it before setting out on campaign. The fear of death was probably the same for the Sengoku warrior as it is for the modern man, however there was one definite difference: The awareness or at least hope of utility or practical benefit in one’s death. This benefit or utility in dying a heroic death on the battlefield is that it brings fame to one's name, and by practical extension, one's descendants, family, and clan. 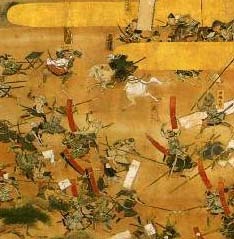 During the Sengoku period, there was an awareness that a shameful showing in battle could have had a catastrophic effect on one's family, and a glorious death would be preferable. Therefore, there was by no means some sort of death-wish spurred on by a “beauty of death” philosophy. It was purely a practical matter. Of course, death was not the goal, it was to survive and bring fame and glory on oneself. However, war service is accompanied by danger - a chance for glory also brings the danger of death, and on the battlefield, the difference between life and death is paper-thin. But, on the battlefield is the only place where one can find the glory they are looking for, and the Sengoku warriors must have been aware of the inherent danger. When it’s said that a warrior wants to bring glory to their name, or protect their name, the "name" in question doesn’t refer only to their own individual name, but to their family name and family honor, including their ancestors and descendants. Warriors in battle carried responsibility for not sullying their name with shameful actions. One famous example took place in 1581 during the siege of Tottori castle. Kikkawa Tsuneie, under siege by Hashiba Hideyoshi, was forced to commit seppuku, and left a written will for his children. In reading his will, you can see that he believed that by slitting his belly he could not only save his soldiers, but bring honor to his family and clan. Based on the above, it is obvious that "name" is the keyword in the Sengoku warrior's opinion on life and death. And also as stated above, there was a tendency to believe that the sons of a warrior who died a valorous death in battle would also share that same honor and valor displayed by their father. For example, in the 3rd month of the 10th year of Tensho there is an episode involving Tokugawa Ieyasu after the battle of Temmokuzan in the countryside where Takeda Katsuyori was finally destroyed. At that time, there were barely 20 or 30 mounted warriors left alive on the the opposing side, and among them, one warrior, Tsuchiya Masatsune, served as Katsuyori's kaishaku (seppuku assistant), and then promptly followed his lord in death. When Ieyasu heard this, he said "Does Tsuchiya Masatsune have any sons? ", and when he found out that Tsuchiya did have a son, he sent men out to find him. The son was eventually found being hidden in a temple, and he was called to Sumpu castle to meet with Ieyasu. Ieyasu took in the child who was barely six years old, and made him his son Hidetada’s page. In Ieyasu's view, the son of a man who fulfilled his duty so honorably, and gave his life for his lord, would be destined to become a great man himself, which is likely why he took the child on as a vassal. That the child was the son of a man who fought him in battle didn't matter. His conduct on the battlefield moved Ieyasu.